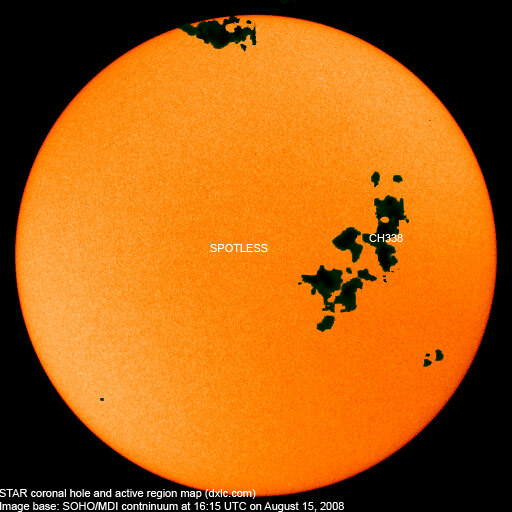 Last major update issued on August 17, 2008 at 06:00 UTC. The geomagnetic field was quiet to unsettled on August 16. Solar wind speed ranged between 308 and 376 km/s. The leading part of a high speed stream associated with CH338 arrived at about 20h at ACE. Solar flux measured at 20h UTC on 2.8 GHz was 66.2. The planetary A index was 5 (STAR Ap - based on the mean of three hour interval ap indices: 5.3). Three hour interval K indices: 10111113 (planetary), 11211113 (Boulder). 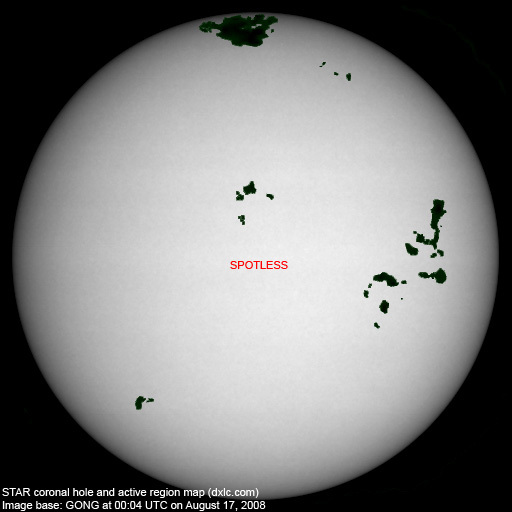 At midnight the visible solar disk was spotless (27 consecutive days). The solar flare activity level was very low. August 14-16: No partially or fully Earth directed CMEs were observed in incomplete LASCO imagery. 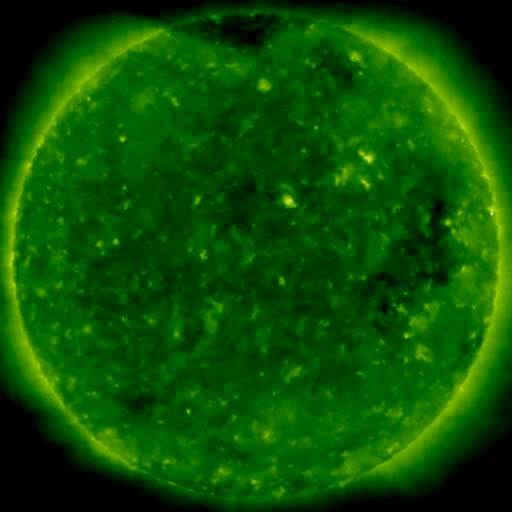 The geomagnetic field is expected to be quiet to active on August 17 due to effects from CH338 and quiet to unsettled on August 18. Mostly quiet conditions are likely on August 19-23.